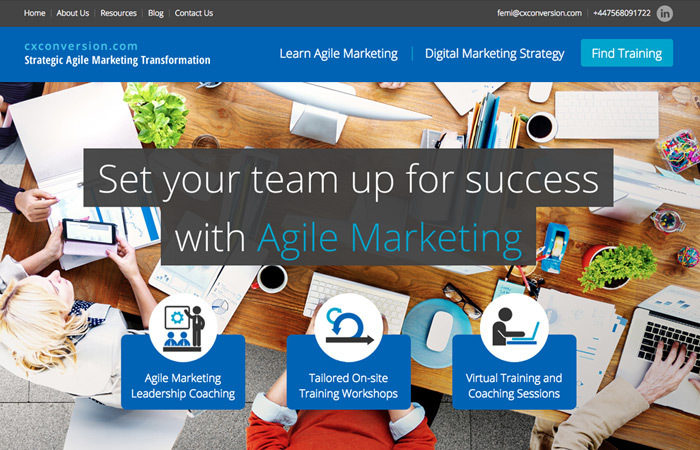 CXConversion work with market leaders to design and implement effective agile marketing strategies. They were looking to hire a freelance web developer to help them build a bespoke web design that would distinguish them from the competition and really convey their “live and breathe” approach to agile marketing. To help realise this goal, I created a bespoke web design which is both clean and simple, yet visually striking. Since the site launched, my client has reported lots of positive feedback and a dramatic increase in the sales of his book.